Some of us see conspiracies everywhere. You guessed it, I’m one of those who spent several hours one afternoon canvassing the grassy knoll inch by inch. I found nothing of interest but I still keep an open mind. This time though I think I found something that we have been lied to about for fifty years – the true origin of the Vulcan Salute. Every Trekker will tell you the first time the double-finger-split hand signal was used was on the 1967 episode “Amok Time” in the second season of the original series. Spock used it to greet T’Pau, the Vulcan leader, accompanied by the phrase “Live long and prosper” and television history was made. The actress playing T’Pau, Celia Lovsky, had to have her hand taped up to enable her to return the gesture. 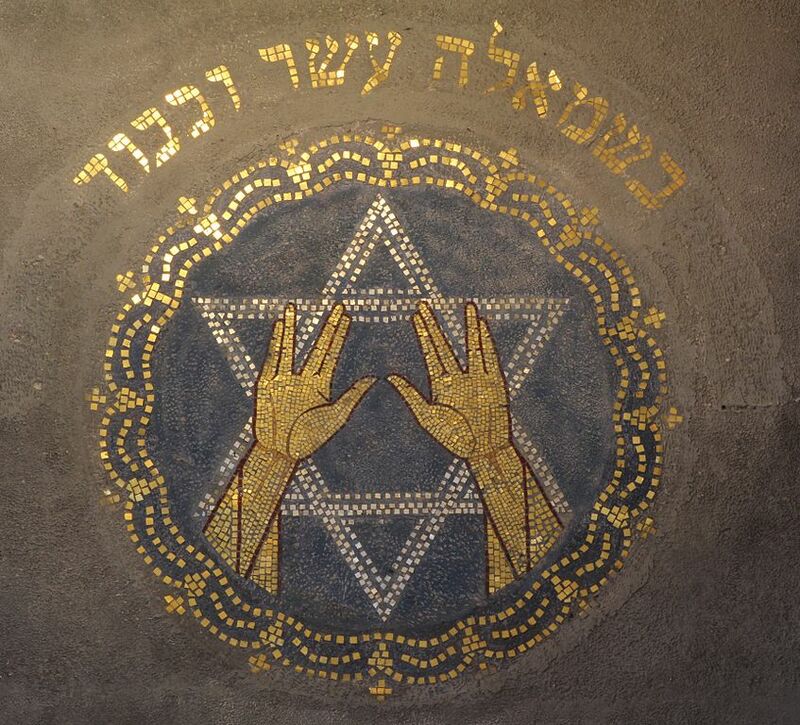 Every reference I can find online explains that Leonard Nimoy came up with the idea for the Vulcan greeting from a blessing used by clergy during Jewish ceremonies. But I found the hand gesture used in an obscure little movie four years earlier. And there is a hidden connection between this movie and the Star Trek episode. One of my all time favorite movies is The Raven. Released in 1963, it starred three of horror’s greatest, Vincent Price, Boris Karloff and Peter Lorre all playing magicians in Gothic castles. 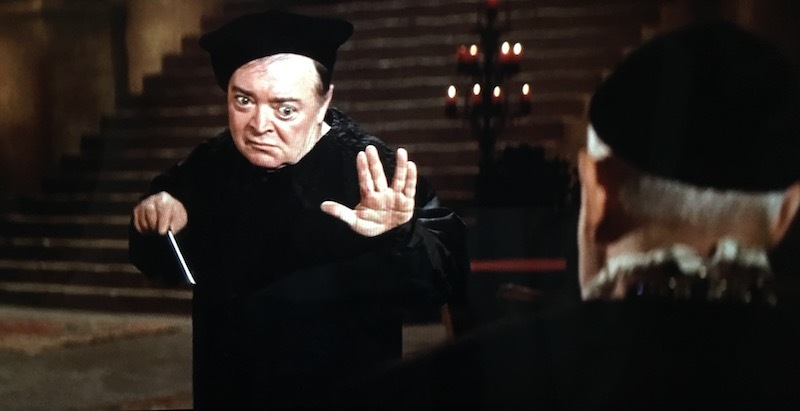 The story starts out with Peter Lorre, after having been changed into a raven by Boris Karloff, tapping at Vincent Price’s chamber door for help to return to his rightful form. Eventually Lorre and Price return to Karloff’s castle and the magical “Dual Arcane” take place. Lorre uses the magical version of the Vulcan salute on Karloff in the movie The Raven. During the opening volleys Lorre’s character begins a magical attack on Karloff. It’s there you see him pointing a menacing magic wand with one hand while using the Vulcan salute with the other – a full four years before it appeared on Star Trek. This move by itself would not seem so conspiratorial, he may also have seen Jewish clergy using it, had it not been for one little known fact. 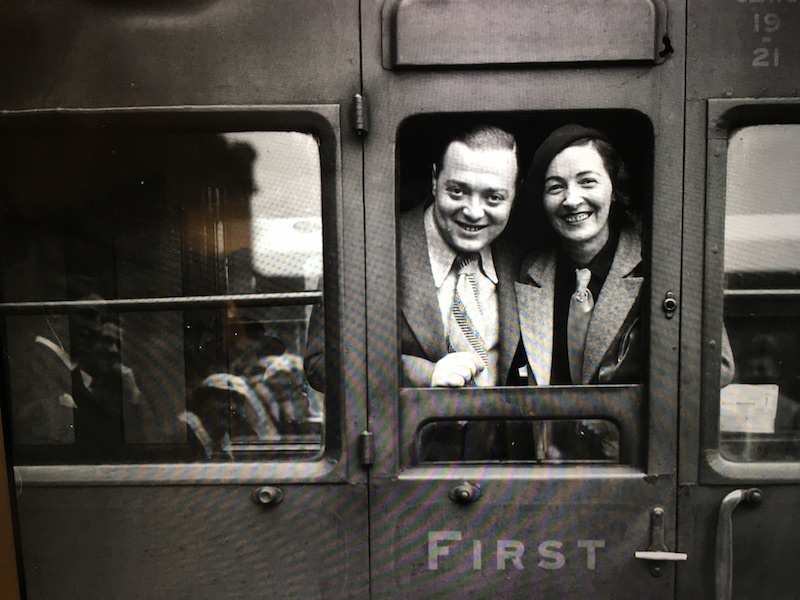 Years earlier Peter Lorre, the actor playing the magician, was married to Celia Lovsky, the actress who played T’Pau. Peter Lorre and Celia Lovsky (T’Pau in Star Trek) in earlier times. You have to wonder – did Nimoy come up with the gesture like he says he did or should he be giving at least a little credit to Lovesky who may have suggested it as an homage to her husband who had passed. The world may never know the truth. As always, all rights reserved of the various rights holders – Star Trek, The Raven, Fox Photos and Kleuske. Very interesting. Food for thought.